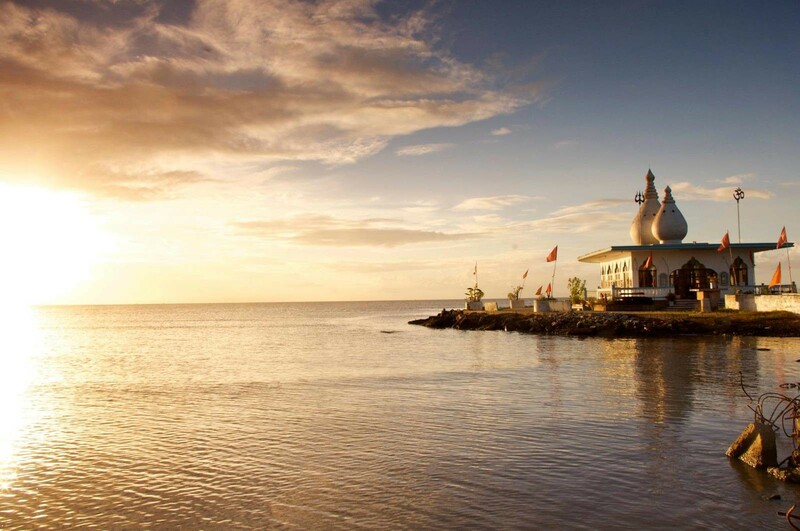 This day tour takes you to the largest and best attractions in the Central and South of Trinidad. 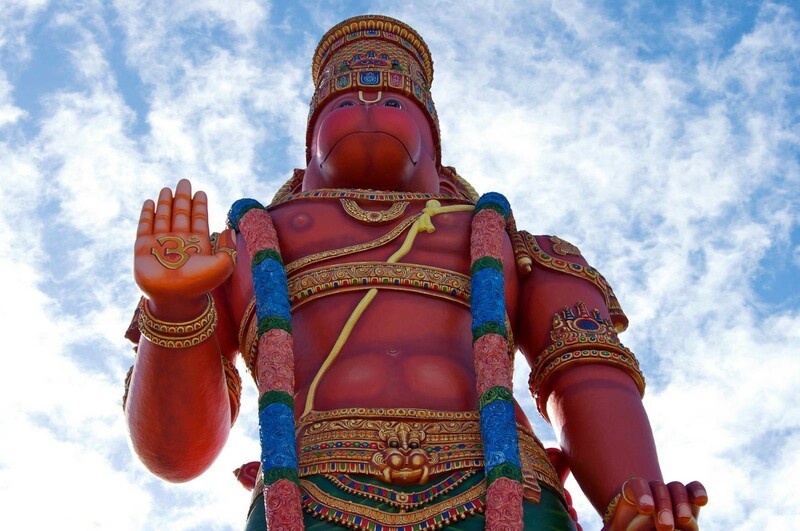 Tour the world famous Pitch Lake in La Brea, stand at the feet of the 85 ft statue of the Hindu god Hanuman and visit an enchanting temple built in the sea. 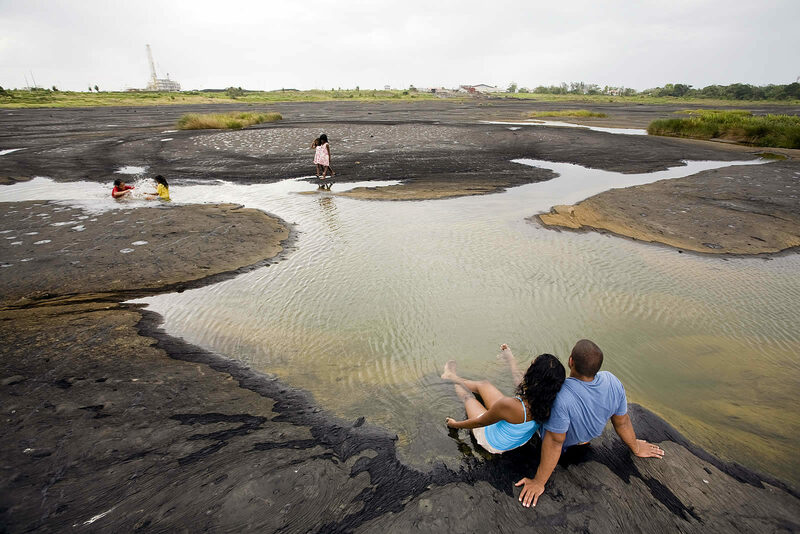 From pick in Port of Spain, this tour begins with a scenic drive south to the magnificent Pitch Lake in La Brea. 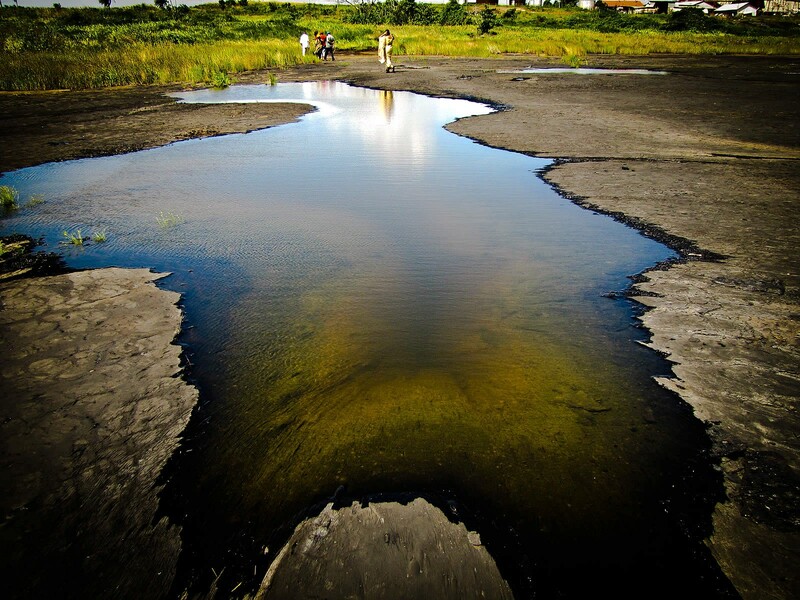 The Pitch Lake is the largest natural deposit of asphalt in the world. It is about 40 ha and about 75m deep. The Pitch Lake is the source of asphalt used in the paving of roads and highways, throughout the world. If you visit in the rainy season (June to December), you can take a dip/soak in one of the many naturally forming sulfur pools. Legend has it that these sulfur pools have healing properties for skin ailments. From La Brea we head back north to the San Fernando Hill which is at the center the second largest city in Trinidad, San Fernando. One can relax, eat and enjoy the 360 degree view of the city and the gulf below. 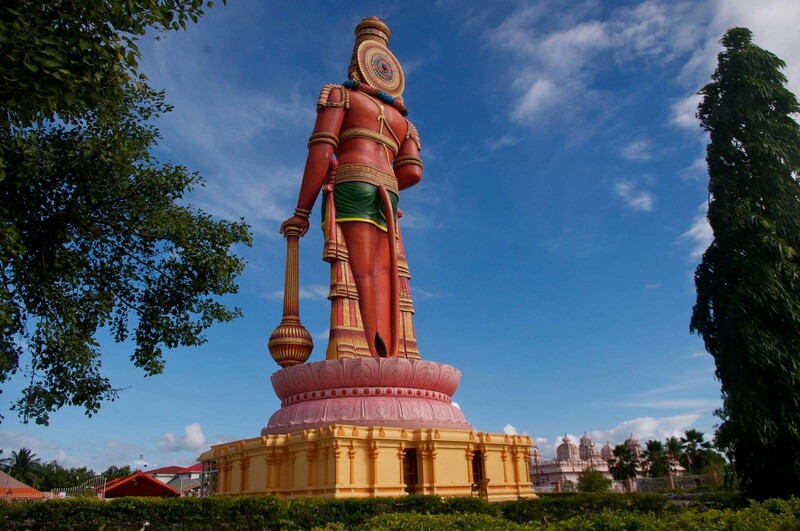 Finally we tour Central Trinidad to visit the 85’ Hanuman Murti, the largest such murti outside of India before going on to the Temple in the Sea, a Hindu pilgrimage sight built by one man, Siewdass Sadhu, over a period of 25 years in testament to his religion. 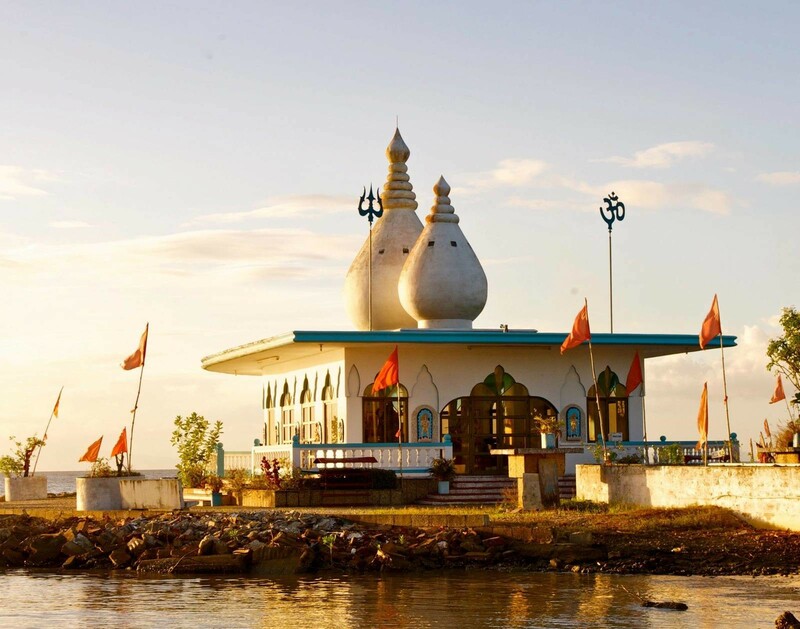 After being denied the opportunity to build the temple on land near the water, he decided to build the temple in the sea.